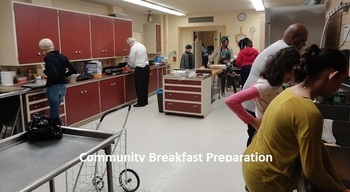 United Methodist Church of Hartford invites members of the church and the community to join us for a free breakfast every 2nd Sunday of the month. Our prayer is that people of the neighborhood know that they are loved by God and cared for by the UMC of Hartford community. Breakfast is served at 8:30am followed by fellowship at 10am. Bring a friend, as there is room at the table for everyone. Matthew 25:35 "For I was hungry and you gave me something to eat, I was thirsty and you gave me something to drink, I was a stranger and you invited me in." 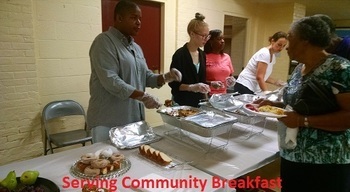 You can make a donation marked Breakfast Ministry at the following site.